Are you accidentally interrupting your baby's sleep pattern? Are you accidentally interrupting your baby’s sleep pattern? When mum of a seven-month-old, Fiona called in to speak to mothercraft nurse and Feed Play Love Helpline expert Chris Minogue, her baby’s sleep cycles were top of mind. Fiona’s little boy sleeps really well at night – from 6.30pm to 5.30am – but he consistently wakes up very early – and during the day he’s quite wakeful. Fiona isn’t quite sure whether she should attempt to transition her bub from three day sleeps to two. She also wonders if hoping for a slightly later morning wake-up time is too much to ask. Mothercraft nurse Chris Minogue says that Fiona’s little boy is doing brilliantly, but is often in danger of being awake during the day for longer than he is asleep at night. Chris says at this age, it would be great if this baby got around 3 hours sleep across his day naps, whether that was over two or three sleeps. 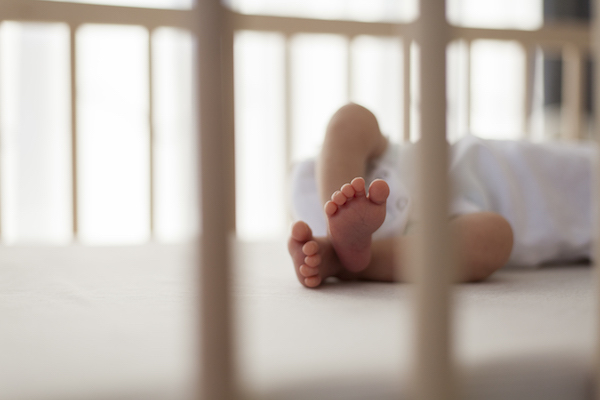 Are you interrupting your baby’s sleep cycle? Chris flagged interrupting a baby’s natural sleep cycle as one potential reason for the patchy day sleeps and an early bedtime. She recommends leaving babies in their cot for a little longer than many parents might tend to because this is how they can learn to put themselves back to sleep. In Fiona’s case, Chris says shifting her approach might help transform two of her baby’s day naps into one longer nap. Turn your baby monitor off? It’s not just eager mums and dads who might be butting in on the nap process before the time is right. Chris explains that baby monitors are also contributing to interrupted sleep patterns in babies. She says monitors alert parents to the fact that their child is awake earlier than ever, and may prompt them to head into the nursery when they’re potentially not yet needed. Chris suggests turning the monitor off if you’re struggling with your baby’s day sleeps. Brilliant – and quite surprising – advice which is definitely worth a try if you’re struggling with patchy day naps like Fiona. Do you have a question for Mothercraft nurse, Chris Minogue? Join Feed Play Love host and mum-of-two Shevonne Hunt for friendly advice, interviews and insightful tips every Friday at 11.30am.